Infographic via source . This infograpohic seeks to explore how technology, social media, and Web 2.0 has come to revolutionise Fashion Industry – especially one that was seen in the past as extremely exclusive, and completely divorced from technology and the masses. The Geolocation social Network Foursquare yesterday announced that they have reached 10 Million members, and . To commemorate this occassion released this infographic for the occasion. There have been 4.7 million check-ins on "Main Street."  The businesses with the most check-ins in their respective categories were: Target (retail), 7-Eleven (convenience stores), Old Navy (apparel), Bank of America (hot dog sta—er, banks), and Home Depot (home-related stores). For every one "ugh" shout (a message that gives both text and a moodlet), there are six "Yay!" shouts. Mike Bloomberg, the real Mayor of New York City, is also the foursquare mayor of the New York City Hall. Foursquare's celebrations continued with the release of foursquare 3.2 for the iPhone, touting much faster check-ins, and today will formally announce a partnership with American Express "to offer discounts to cardholders when they check in on their cellphone at certain shops and restaurants." In 2010, foursquare was named a runner-up in the T3 Gadget Awards 2010 as the App of the Year. In August 2010, the company was a finalist in Lead411's New York City Hot 125. In April 2010, foursquare received a Webby Award as one of the best mobile social networks. In March 2010, Foursquare was nominated for the 13th annual SXSW Web Awards in the Mobile Category. There’s one country that stands head and shoulders above the rest: Indonesia, which added a whopping 2.4 million new monthly active users in May to become Facebook’s third-largest country with 22.4 million MAU overall.Indonesian Facebook users grew more than 1,500 percent in 2009. According to InsideFacebook statistics Indonesia actually had a shot at becoming number two, but was foiled by the United Kingdom’s strong growth in May. But the UK is at 44.4 percent penetration; few countries ever pass 50 percent. 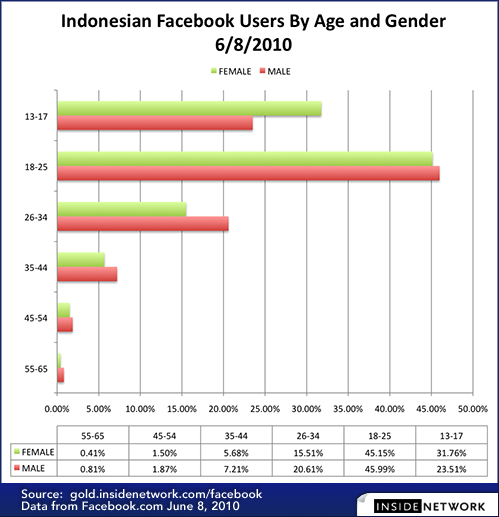 Indonesia, by contrast, is still only at 10.8 percent penetration.That should happen despite the relatively low penetration of Facebook among older inhabitants; past the age of 34 very few Indonesians have signed up for the social network, and it has one of the largest 18-25 age groups we’ve seen.